There may be worse feelings than sitting around waiting for food delivery, but I don't want to know what those are. Especially when your local delivery guy misses your address for the eighth time. But soon, Domino's Pizza will take that stupid human error right out of the equation in the form of a robot that's only 3 feet high. 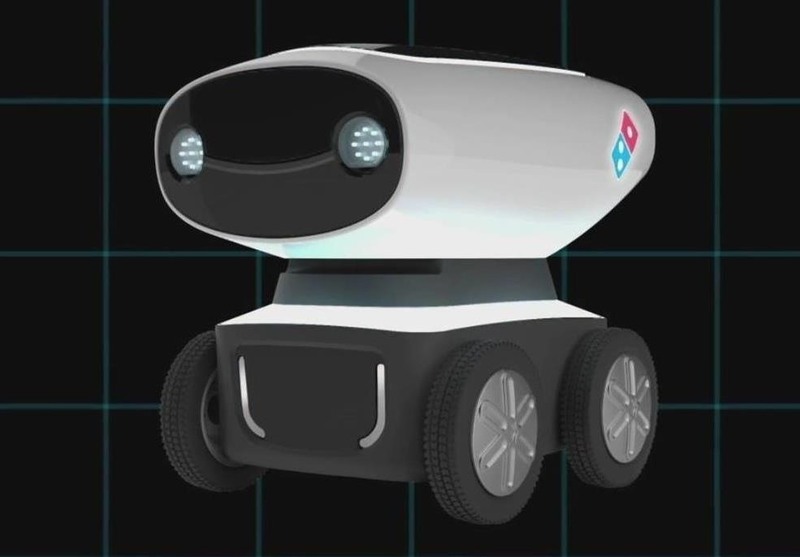 The worldwide pizza chain announced that they have begun live-testing their new autonomous delivery droid, affectionately named DRU (Domino's Robotic Unit). Only in Australia and New Zealand at the moment, DRU is a prototype created by Marathon Targets, a tech startup based in the Land Down Under that gained some fame for creating robotic targets specifically for military weapons training. In partnering with the pizza giant, they've created a droid with a "cheeky personality" that can deliver up to 10 hot pizzas to your doorstep, thanks to a special heating compartment. Think R2-D2 with a stuffed-crust sensibility. Now at this point, you may be wondering how DRU will get around, and more importantly, how it can safely deliver all of that piping-hot goodness to you. Currently, Domino's is letting DRU do its thing on a few select streets in the Queensland province after ensuring that it met all requirements with the province's transportation authorities. DRU can traverse the area thanks to the implementation of GPS technology that gets constant information from Google Maps. The robot also uses LIDAR to get accurate mapping of its surroundings, similar to what's now being used in self-driving cars. Once DRU arrives at your door, you'll need to enter a specific code given to you in order to unlock the delivery compartment so no one else can lay hands on your pepperoni pie. Domino's does plan to take DRU for more testing and expansion out of Australia, but only after reaching accords with other international partners to meet road transportation requirements. Their next step is to have robots on call-in stores within the country in the next six months, bolstering the dreams of college students and late-night revelers a little bit more. Hopefully DRU can avoid the abuse shown to its American brethren and avoid the fate that doomed HitchBot.